The first half of this program will consist of scenes from 5 musicals produced by the Inner City Cultural Center while Chester was a young choreographer there. 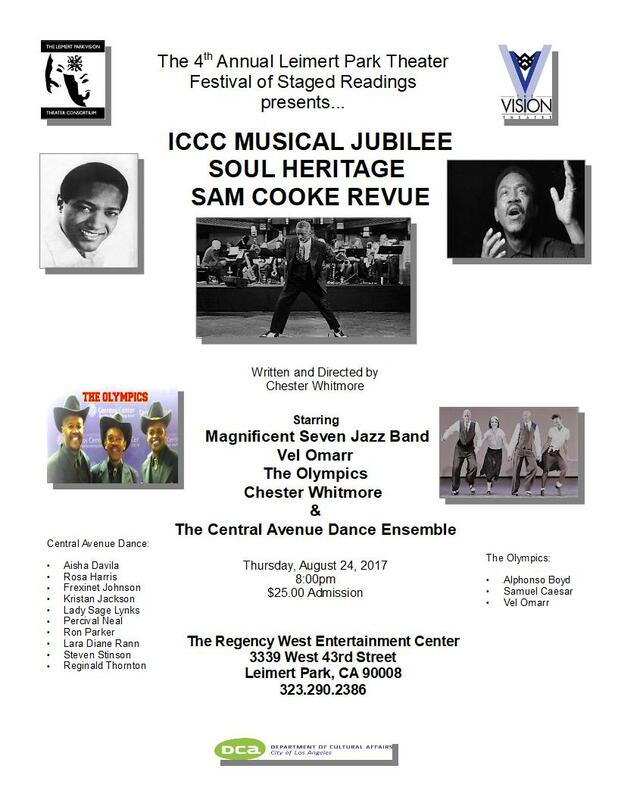 The second half is a revue of Sam Cooke's most memorable and beautiful songs, performed by the amazing Vel Omar and all accompanied by dance from the Central Avenue Dance Ensemble. It will be quite an historic and entertaining evening!